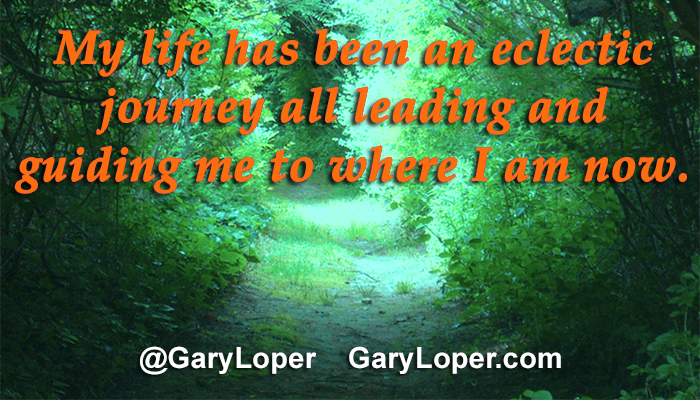 My life has been an eclectic journey all leading and guiding me to where I am now. My family patterns started out with parents that did not have emotional constructs on how to love me the way I needed to be loved. That propelled me on a lifelong path, one that awakened me to my own truths. I did not feel loved nor did I feel I received the recognition I wanted and deserved. I learned that they were not capable of what I needed, and were not wired to provide what was vital in a healthy relationship. My early childhood experiences were a vehicle to studying relationships. I observed how other people reacted to each other, how they treated each other, and how they felt respect. Travelling through two previous marriages, and a number of occupations opened my eyes to different parts of life. The journey propelled me to get my marketing degree fifteen years after high school, which started my path on personal development. I have studied personal development for one hour a day since 1989. Subsequently that motivated and boosted me into business development. Throughout the process of self-discovery, I continued to look for ways to uncover and discover who Gary was. At that time, I shifted my priorities and went to massage school after 9/11. I realized there was more inside of me that I needed to share. I saw myself as a healer and teacher. During that period I worked through my ‘stuff’, which brought me to a place of love and enabled me to make a huge impact. I began to do massage for people with disabilities, one of the most fulfilling things I have done in my lifetime. Unfortunately after about four years the funding for that program was eliminated, taking away about 95% of my income and emotional support that I received from working with my clients and their families. That experience threw me into a funk. So, I started sharing motivational and inspirational quotes with others on Twitter to selfishly lift myself up. People started responding and RT-ing, asking questions and making comments. There was a Universal message, “Okay, Gary you have your coaching certificate for ten years. This is your vehicle to coach.” I saw that experience as a positive opportunity since every single day people were remarking about my tweets. 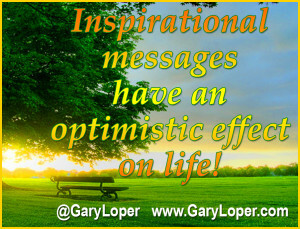 They would tell me how the message lifted them, and how it had an affirming, optimistic effect on their life. From that I experienced tremendous growth on Twitter, touching lives every day, in some way, in a very positive way. How can I help you sort through your experiences, to find how to shift those things that happened, and not dwell in the ‘poo’ and start looking for the ‘pony’ in all of it . . . and, create happy rides? Invest in private coaching at group coaching rates! Explore your hidden gifts and assets, and apply them to creating the changes you want to achieve. Together let’s get you and your business up, and generating new income for you.